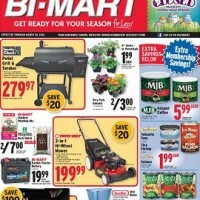 View Bi-Mart Weekly Ad Sale and Bi-Mart Weekly Circulars. 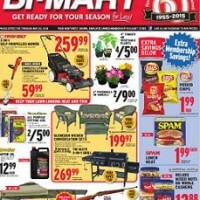 Browse this week Bi-Mart Ad Coupons, online deals, offers, cyber deals, and specials. Bi-Mart Pharmacies are staffed by highly trained Registered Pharmacists. What Departments you can shop in a Bi-Mart store: Sporting Goods, Toys, Lawn & Garden, Hardware, Auto Care, Pet Supplies, Clothing & Footwear, Furniture, Housewares, Office Supplies, Food, Grocery, Electronics..
Store and pharmacy hours will vary on New Year’s Day, Memorial Day, Independence Day, and Labor Day. All stores and pharmacies will be closed on Easter, Thanksgiving, and Christmas Day.